A Kingston University graduate captivated the nation’s heart with her positive attitude and bubbly personality in The Undateables, a series that documents the dating lives of people with long term conditions. 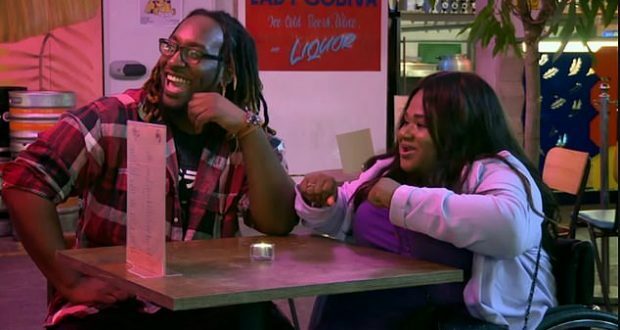 Tobi Green-Adenowo, 26, who suffers from brittle bone disease, went on the show for a chance at dating but left with the dream of changing how disabled people of colour are represented in the media. After meeting up with a dating agency, Green was matched with Melvin, a retail assistant from West London. She said that Melvin’s relaxed personality balanced out the pressure of having a first date in front of cameras and an entire production team. Even though the experience was overwhelmingly positive, Green was unable to find love in The Undateables. While Melvin seemed great on screen, she believes he was not on the show for the right reasons. “It came across to me that he was still attached to his ex, so I have the hunch that perhaps he wasn’t coming across as genuinely wanting to be in a relationship with anyone, but more just to have fun and go on a date,” she said. Green complimented the production team at Channel 4 for not giving him too much exposure, as “a lot of those people go on TV just to be on TV”. Her bubbly personality did catch the eye of a few suitors, who have been sliding into her DMs since the show. “I have been propositioned a few times! It is quite nice because I have never had that before. When you have a disability, normally you get in relationships with people you know, so it has been quite nice to have someone show you a bit of attention,” said Green. Although she has been in relationships in the past, going on her date with Melvin was the first real date she had ever been on. The main reason Green chose to do the show was that she felt it would be a safe environment and an opportunity to get over her apprehensions of dating. “I will say I’m more confident going on a date now. It made me more open-minded, more carefree about wanting to date and not having these hangups of being in a wheelchair and being worried about it,” she said. Besides that, Green shares the same concerns we all have when meeting someone for the first time. She got the opportunity to be on The Undateables when the show’s producers spotted her on a YouTube video with a former participant and got in touch for an interview. Green was initially wary to be part of the show, due to its name, but thought it would be great for her personal growth and her application was approved almost instantly. “I got the callback straight away. Apparently I made one of the producers cry, because they were so amazed by my story,” she said. According to Green, the only disabled person of colour in UK television is a man, but she hopes to be the woman to change that. With the exposure form her appearance on The Undateables, Green has used her social media presence to connect and inspire people everywhere. “When you believe in yourself, you know you can do something for the world. I was trying to learn something for myself but in turn I gave something back to all the viewers,” she said. Green is now a special needs dance teacher at Newham College. “After finishing my degree I mainly volunteered and did low paid work teaching dance to special needs kids, which is my passion,” she said.